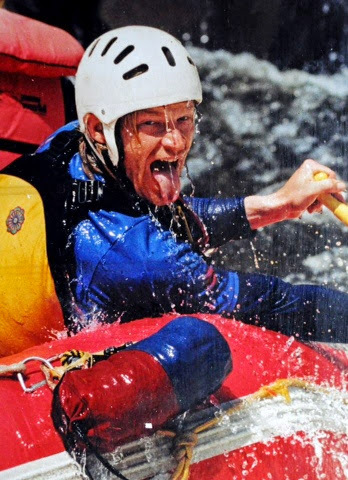 "A ROUGE DIRTBAG PADDLER'S LIFE" Looking back with Rob Gravelle | DBP MAGAZINE ONLINE The World's Best Free Whitewater Publication. “As soon as I was old enough I began my rookie training, and to tell you the truth, I was scared after my first swim on my first day in the Canyon; not only did I have a huge swim the first time we hit this wave, but I was also very English in a course taught only in French so I understood very little and had to figure a lot out on my own. I finished my training but missed my exam day, still not sure if this is what I wanted to do, but the river called to me in my dreams and in random thoughts. I went back and asked if I could finish my exam, and was told I could… if I did another month of training! At the same time one of the “chicken” boys (kitchen staff) wanted to start his training. His name is Derek Klapka, one of the best characters I have ever met in the river world. 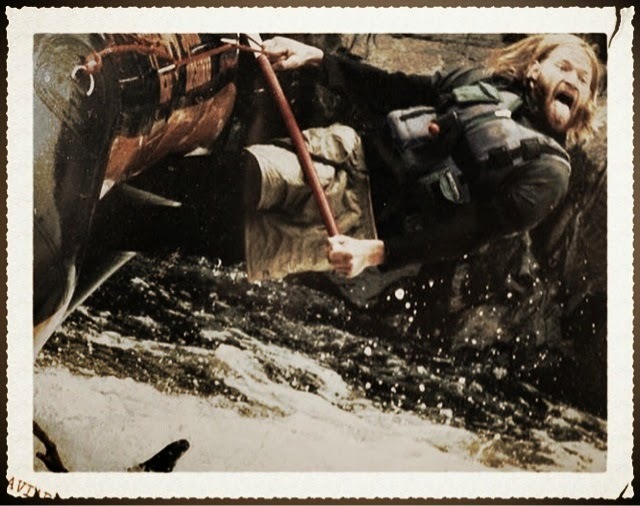 If you get around in the rafting business you will hear a story about him, know someone who knows him, or meet him yourself, a.k.a. Chicken Man, after becoming a guide. The years passed, my skills improving along with the equipment, with bucket boats slowly fading into the past. 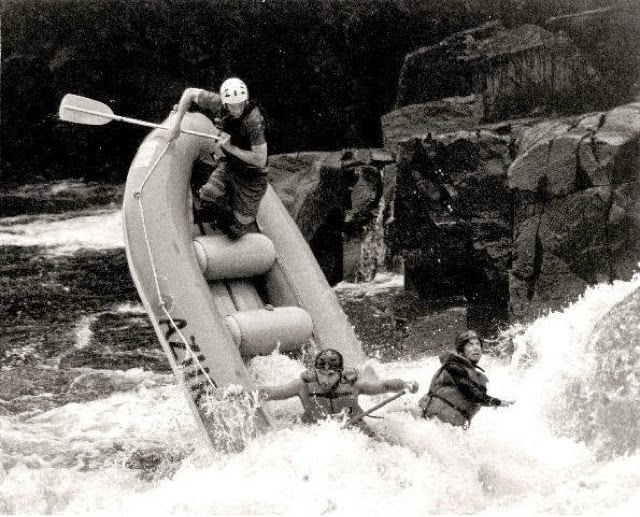 As all these new styled “self bailing” rafts hit the market the sport began to change. 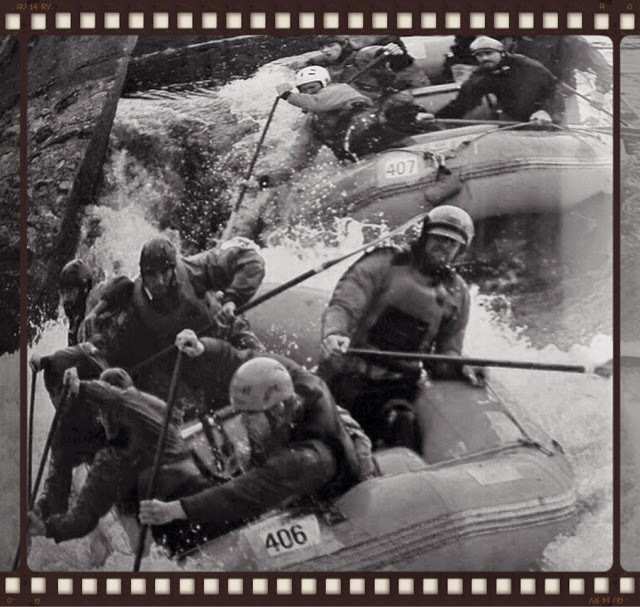 Wally Mistassibi and myself saw this change happening and in 2000 started what we called rodeo rafting. 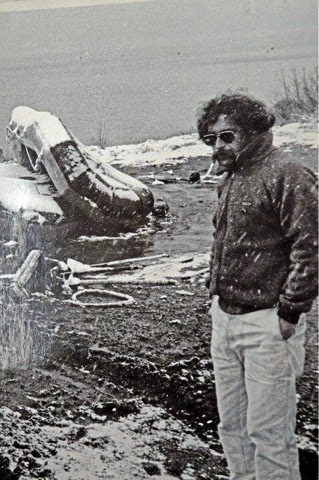 We bought a Puma after trying to get a few people to build us the boat we wanted failed badly. The Puma at 11.6 feet long was perfect for what we wanted, our concept being to ride a raft like a kayak sitting side by side on as many different rivers and rapids as we could find. 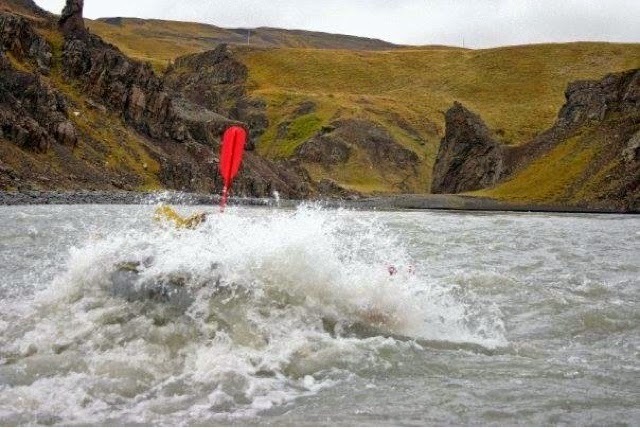 We were able to surf any wave a kayak could. We made moves like the “squirf”, surfing in a hole while squirting the boat, running lines and surfing holes no rafts had done before. The year 2001 we took a trip to West Verginia for the Gauly Festival, stopping at the Upper Yough in Maryland, of course. We met Darren, the creator of Creature Craft, that weekend and had a great time on that beautiful river, running the rapids and enjoying the amazing festival with our new friends. 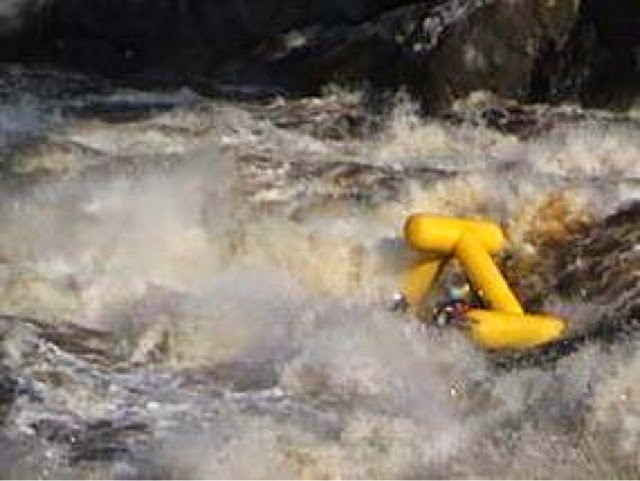 Darren was stoked to come to Quebec, but first he invited us to the Gore canyon in Colorado to paddle his new rafts. We surfed Tunnels Falls and played forever in the box… I have to say I love everything about Colorado; what an amazing place and people. In 2002 the Creature Craft boys came to Quebec to find newer bigger waters than what they were used to. We went Lac St Jean where lies the Saguenay, Mistassibi, Mistassini, Metabetchuan, and many, many more big water runs. We ran the Mistassibi at huge levels, somewhere around 1200 m3/s if not higher; then we ran a first (probably only) descent of a part of the Saguenay River at an absolutely ridiculously huge level. I have never been slapped in the face harder than when the rapid under the bridge spanked me. We came through the rapid slowly flipping onto our side, me low-siding with some of the biggest boils I’d ever seen pushing up against me, but was completely comfortable. We were able to still breath easily and even talk to each other and get the raft upright. This was an incredible experience with some of the best Dirtbags I have ever had the pleasure of paddling with. Wally fell in love with the Saguenay and soon after moved there to raise his family and open his own company along the Mistassibi. Here is a shot of the first descent at the Rivière Sageunay, it is from video that is not so great but the only shot I have of it.. it is near the Shipsaw dam under the aluminum bridge – video grab credit Francis Gauthier, who followed us down to West Virginia and all the way around Lac St Jean for the trip and to support us, for this I will forever thank him. 2004 brought me to Iceland. I felt as though I had reached a bit of a climax as a guide at the company I was working for. 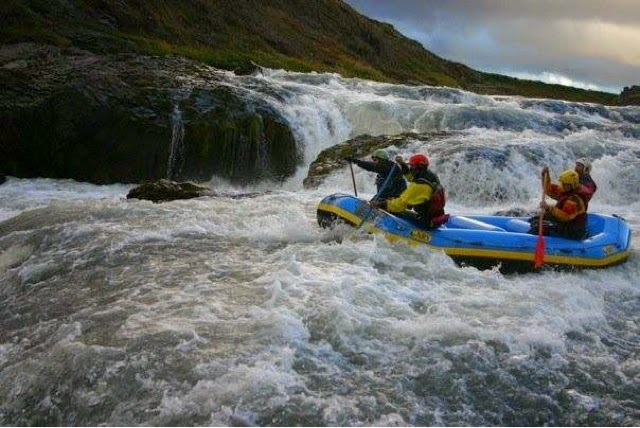 I was the Guide first in line to work and trip leader most days I worked, and so I started doing video on float trips with a cataraft. Many of the friends I grew up with had left or were leaving the company, so I sent my name out on the old inter web as a guide looking for a different working environment and new experience. A friend had given me a tip about an outfitter in Iceland, who responded that they already had all the guides they needed but would contact me if things changed. 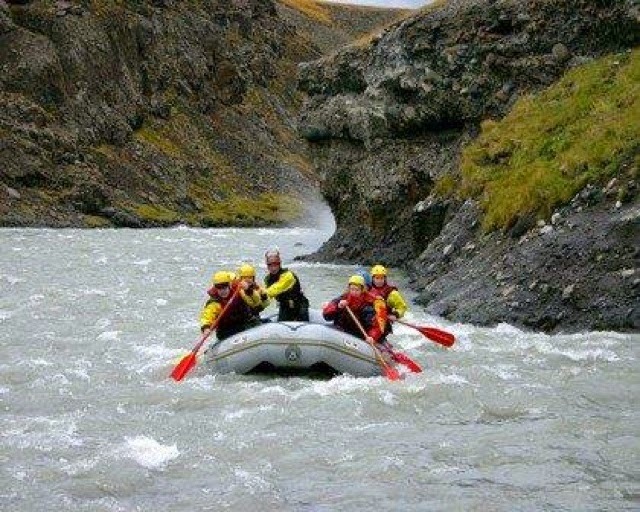 As that year passed I gave up hope of finding work elsewhere, but finally the river manager in Iceland asked if I was still interested in work. I sold things, scraping money together, even bringing bottles to the store, to collect as much cash as I could to get out of “Dodge.” I got a rush on my passport and got out there two weeks later as they eagerly awaited my arrival. The guides were clearly burnt out a bit and were super friendly, all of us coming from different countries. These were memories I will cherish for the rest of my days: too many to even begin to write about now, but over a drink or two I could spend the greater part of an evening telling stories of this trip… Again, with an amazing group of people I feel so blessed to have paddled with, thank you Anup for that shout out. Upon my return I needed a change in my life, and was already very much into video. I had bought a new digital SLR to learn photography, something I have always loved and did but never had the money for a good camera. I got a job for the next two year at a photo shop in Mt Tremblant, Quebec, with two incredibly talented photographers, learning so much from them, and getting the chance to shoot ski races, family portraits, race cars in a racing school and many other different type of environments. 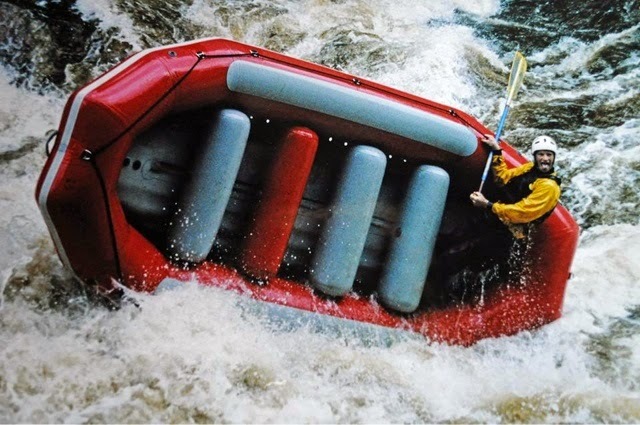 This kept me away from the river, but the Rouge is in my blood, and in the summer of 2006 I began working with the smallest company on the Rouge, a company that had been started by two river guides that trained me during my rookie training. They opened in 99 or 2000 and had brought Didier as their number one guide; he was also one of my trainers during rookie training. The company had about 14 guides on a huge day but usually only had about two or three a day and then some big groups. It was a pleasure to work there. Can’t agree with you more, Rob. You’re truly living the Dream, and we are stoked as well to have you as an Admin on the Facebook page and to enjoy your contributions here at DBP MAGAZINE ONLINE. Cheers to a Happy Healthy 2015!! DIRTBAG BOOKCLUB ~ “Portraits of America: THE COLORADO RIVER” by Virginia Hopkins.